Cruz Bay tiles are handcrafted from beautiful natural stones and pebbles, sourced from the exotic islands of Indonesia. With over 20 years experience working in Indonesia we oversee every step of creating our products to guarantee the authenticity and quality you deserve and a final design that will look incredible for years to come. 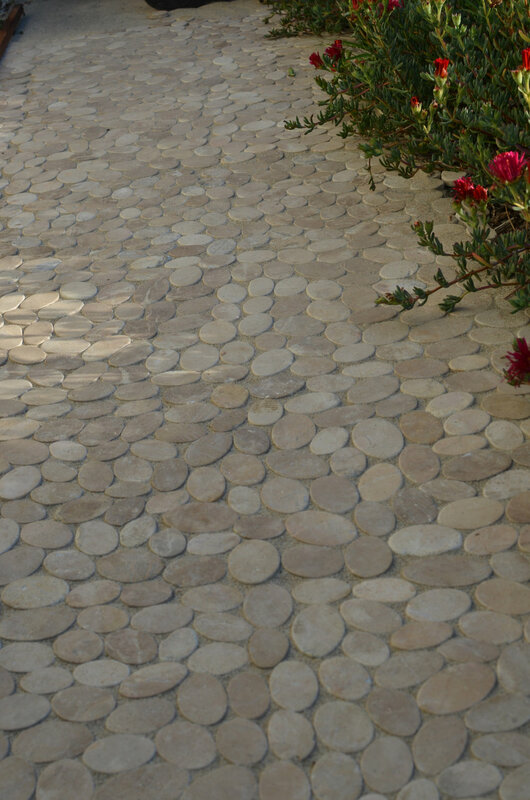 Our first step is to hand pick pebbles or to cut stones to desired shapes and size them specific to each design. We then sort these pieces, only using those that meet our quality guidelines. Each Cruz Bay Tile is then individ-ually created by hand placing stones into a predefined pattern and adhering them to a flexible mesh. The result is every tile is completely unique, easy to install and interlocks into adjoining tiles to create a seamless surface! • Kitchens: Floors & backsplashes. • Bathrooms: Floors, shower-pans, & walls. • Living Areas: Entry-ways, fireplaces, & hearths. • Exterior: Patios, driveways, pathways, & exterior walls. • Pools: Decks, coping, & liners. • Commercial: Feature walls, Interior & exterior common areas.